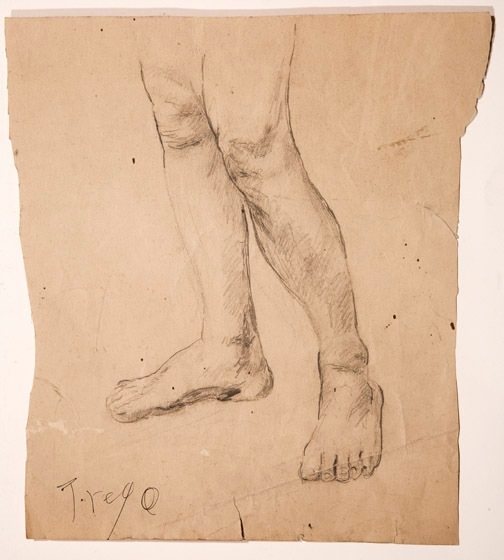 The name “Trego” appears on the piece, but not in the artist’s usual script. It may have been written there by Walter Baum to identify the work as that of his mentor. It is likely a study that Trego did while at the Pennsylvania Academy. The paper is discolored and brittle. There are losses along the margins.